Assistant Vice President - Channel Marketing - AT&T Partner Solutions, AT&T Sara works in the AT&T Partner Solutions organization where she has responsibility for marketing, strategic pricing and product management for the AT&T Partner Exchange reseller program. In this role she leads a team to create and execute a go-to-market strategy to drive program recruitment and revenue growth. Sara joined AT&T in 2004 as part of the Leadership Development Program. Since then, she has held various marketing and leadership positions during her career at AT&T. In 2012, Sara joined the AT&T Partner Solutions organization to build a digital experience team. She also started up a team to bring to market a new API platform built to support strategic services. 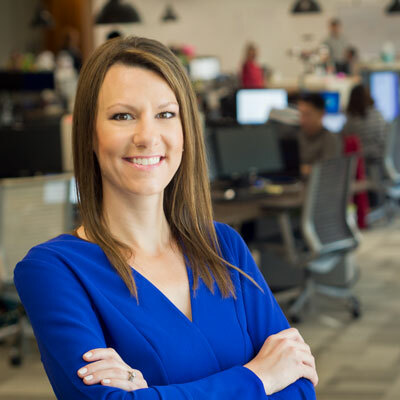 In 2015, Sara assumed her current role as Assistant Vice President of Channel Marketing for the AT&T Partner Exchange program. She graduated from the Southern Methodist University Cox School of Business and lives in Dallas, TX, with her husband and two sons. My team runs the end-to-end marketing strategy for AT&T Partner Exchange and 2017 was a really big year for us. Together, we were able to launch several new products into our channel and help drive significant growth with our partners. We did this by keeping a close pulse on what they need to succeed and equipping them with the offers, marketing tools and training to get there. Over the next year, we'll continue to accelerate our growth trajectory by being an innovative, forward-focused channel program. We built our program around our solution providers, and we pride ourselves on continuing to deliver the products and tools they need to be successful. As their businesses grow and change, we must evolve our program to meet those needs. We've got a lot of exciting things planned for 2018, including pricing enhancements, product launches and state-of-the-art events. CRN Women of the Channel: For my leadership in the channel and my mentorship of emerging female leaders. AT&T Business Leadership award: For helping elevate the AT&T Partner Exchange brand in the marketplace and for going above and beyond in supporting our team members and partners. I admire women who model a good balance between work life/leadership and personal life. I think it's important to have role models with successful careers who aren't afraid to make their families a priority. I also admire women who support diversity and foster growth within their organizations. Women who encourage their teams and invest the time to develop new leaders are really inspiring to me. Someone I've really come to admire is Anne Chow - president, National Business, AT&T Business. Anne models inclusive leadership and highly values the diverse opinions of her employees and the customers her organization serves. Don't worry so much! Not everything has to be perfect and some deadlines are okay to miss. Learning how to let go of some of that control has been something I have learned (slowly!) as I've grown up. I really enjoy writing, so I would love to develop a blog or write a book. My mom is a writer, so I grew up around that creative process. It's played a key role in how I communicate today. Writing is a skill that translates across so many different fields and one that I've always been passionate about and tried to nurture. I would love to combine that passion for writing with my experience as a mom and dedicated business leader to see how I could help and inspire others. Honestly, I don't get as much time as I'd like to read these days. But when I do, I like to read historical fiction. I've read a few this year about the English royalty that I've really enjoyed.